What is that creepy-looking metallic gray bug with a bunch of antennae and legs, and why is it shimmying up the wall? It's most likely a silverfish, so named because of its silvery sheen and its rapid movements, which resemble the undulations of a swimming fish. Here are seven more interesting facts about silverfish. The first ancestors of silverfish are some of the most primitive insects known to science. Silverfish evolved no later than the mid-Devonian period, over 350 million years ago. Silverfish —along with bugs like jumping bristletails — developed before winged insects. None of the 600 species of silverfish have wings to this day. Silverfish never reach a defined adult form, which is another trait of primitive bugs. The insects can reproduce by the time they shed their skin, or molt, nine times, so they definitely have mature bug capabilities. However, silverfish will molt throughout their lives and never develop a permanent exoskeleton. Since silverfish live for two to eight years, that adds up to as many as 50 molts throughout their lives. Young silverfish appear whitish, while subsequent molts reveal the silvery sheen that gives the bugs their name. Silverfish are not picky eaters. They adore the dextrin and starches found in glue and dried wallpaper paste. Often, the first sign of a silverfish infestation is holes and yellow stains in books and on paper products. Silverfish will even chew on photographs. Thankfully, silverfish don't chew on humans or pets. They aren't biters and aren't known to carry diseases. Silverfish do have an amazing ability to live up to a year without food, as long as water is available. Household varieties of silverfish are nocturnal creatures. You may find holes in your favorite novels and suspect a silverfish invasion yet never see a single silverfish. 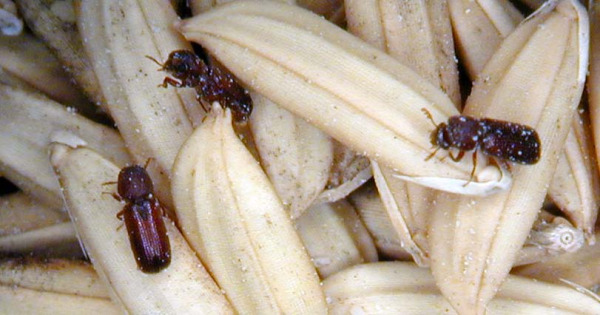 The bugs are adept at hiding from view in damp, dark spaces around your home. An additional sign of a silverfish infestation is their tiny droppings, which look like small black pepper flakes. You may also find exoskeletons that the silverfish have shed near their living spaces. The exoskeletons are transparent after being shed. Silverfish don't reproduce via internal fertilization as many other insects do. Instead, the male and female perform an intricate mating ritual to produce their offspring externally. Their reproductive routine can last up to half an hour. First, the silverfish couple face each other and touch their antennae together. Their antennae tremble and quiver as they back away from each other and then return to touching one another. Eventually, the male takes off and the female pursues him. Once the female catches the male, the pair stand beside each other head to tail as the male's tail vibrates against the female. He finally lays a capsule of sperm called a spermatophore. The female sits on the capsule and takes the spermatophore up into her ovipositor to fertilize her eggs. You can get rid of silverfish by performing the same housekeeping tasks used to eradicate other bugs. Keep your home clean and clutter-free. Seal up food containers. 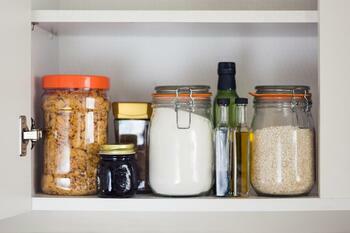 Store grains and cereals in jars with lids. Remove damp areas from your home. Seal up cracks and crevices inside and out. Keep pet food sealed in containers. Use lavender or cedar in linen storage. Repair damp or peeling wallpaper. Avoid storing books and clothes in cardboard. Periodically deep clean your cabinets and bookshelves. Spilled noodles and oatmeal attract silverfish, so promptly clean up spills and crumbs to remove these tempting silverfish meals. Do the same deep clean of your bookshelves every month or so. Remove books, dust the shelves, and inspect materials for signs of infestation. Your pest control professional has a variety of methods to remove silverfish from your home. The techs may use a variety of pesticides, pest deterrents, and traps to repel, catch, and kill the silverfish invading your home. The precise pest-control measures used in your home will be based on your preferences and the presence of children and pets in the home. Bait traps and some applied chemical pesticides are best used in areas where no kids or pets have access. Materials including boric acid, diatomaceous earth, and pyrethrin-based pesticides are all used to combat silverfish infestations. To learn more about ridding your home of silverfish in Los Angeles, California, contact Greenleaf Organic Pest Management, Inc., today.